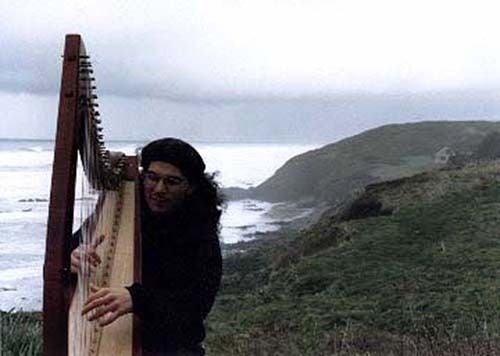 David Helfand is a multi-instrumentalist who composes and performs original instrumental music on Celtic harp, mandocello, octave mandolin, guitar, and keyboards. David has a degree in therapeutic recreation and joined the STiLE team as an instructor this fall 2018 for our Music Writing and Performance training, which meets on Mondays from 4-5:30p at CSpace, 530 C St., Springfield. Over the years David has recorded six albums and taught music classes for Adaptive Recreation and Oregon Supported Living’s Arts and Culture program. David is currently an instructor with the 4j Transition Education Network (TEN) at Sheldon High School. To learn more about David please visit his website at www.davidhelfand.com. To register for this training please go HERE or call KindTree-Autism Rocks at 541-780-6950.